Our approach is simple. We help each person make choices about how they want to live. We do this by providing supports to people where they live, work and play. Our supports are based on the principles of person centered thinking where the individual and/or their family/caregiver direct the services they want and need. We believe that everyone should have the opportunity to participate in society and have an active and vibrant life based on their interests and abilities. To that end, we are committed to being flexible to accommodate the changing needs and expectations of the individuals we support. The Charles Lea Center's main facility is located at 195 Burdette Street in Spartanburg. The CLC's work programs are housed in a 55.000-square-foot facility in Inman. In late 2016 a third location will be opened in Chesnee, which will house additional day programs, work programs and case managers. 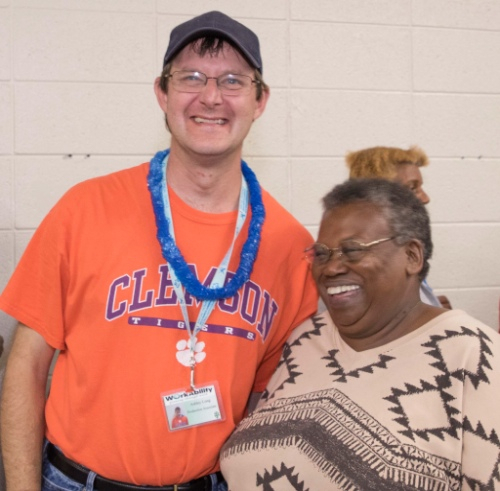 We are proud of the fact that we are able to touch the lives of more than 1,500 individuals in Spartanburg County. And we're even prouder when get to watch them succeed and reach their goals.